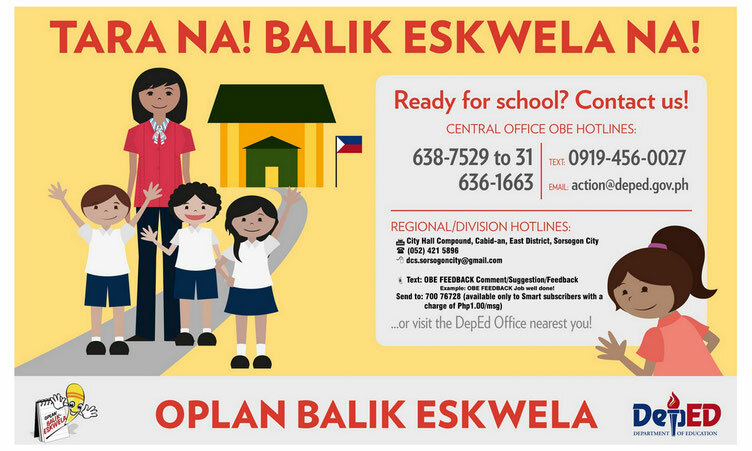 Please be informed of the possible effect of the sun outage on all forms of electronic communications this last week of September and on October 2015. Mobile phones, cable and satellite TV, and satellite internet services may have no or poor reception. 1. The remains of the late Undersecretary Francisco M. Varela will be cremated on September 3, 2015, Thursday. 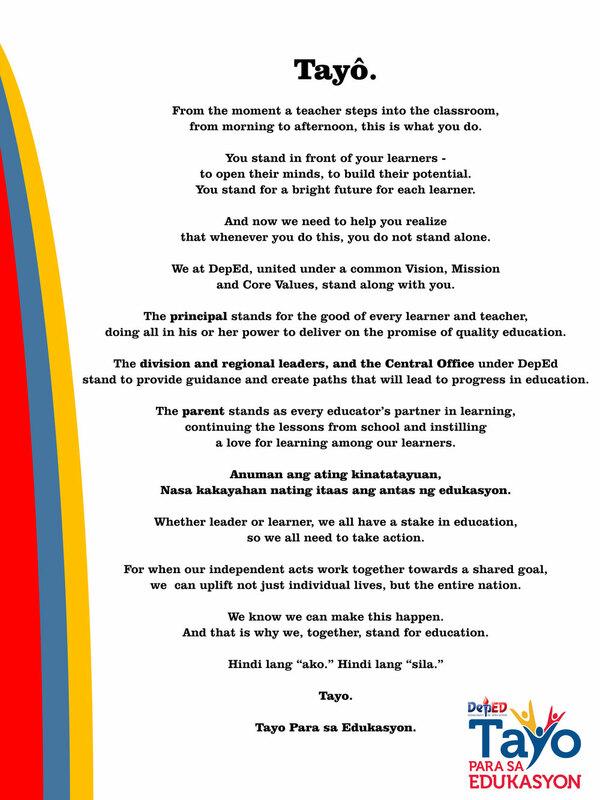 We enjoin all DepED offices, facilities and schools to raise their flags in half-mast on that day. 2. Following Republic Act No. 8491, the flag when flown at half-mast shall first be hoisted to the peak for a moment, then lowered to the half-mast position. The flag shall again be raised briskly to the peak before it is lowered for the day. 3. All DepED offices, facilities and schools are also encouraged to offer prayers and mass intentions for the repose of the soul of Undersecretary Varela. CEBU, Philippines - Education Undersecretary Francisco Varela died yesterday, August 29, the Department of Education announced. “The Department of Education (DepEd) deeply mourns the loss of one of its greatest officials in the person of Francis M. Varela, Undersecretary for Finance and Administration,” DepEd said in a statement yesterday. A mother of two, Roziel Tina Habdusan actually had a normal life as a child, living with her parents and siblings in a quiet town in Sorsogon, Bicol. However, her happy childhood was shattered when her parents were arrested due to drug dealing. The turn-out of events led not only to the separation of the family, but also the absence of proper guidance for young Roziel. The 17 public Secondary School Heads in Sorsogon City decided to turn their red flag schools into green for the Senior High School (SHS) Program come School Year 2016-2017 as they gear up to the full implementation of the K to 12 Basic Education Program (BEP). 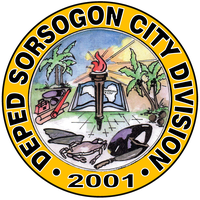 The personnel and staff of the School Governance and Operations Division (SGOD) of the Schools Division Office (SDO) of DepED, Sorsogon City managed to set things, with the purpose of refocusing and strengthening effort to transform the bureaucracy into a government that works for the people as they took the positions this CY 2015.